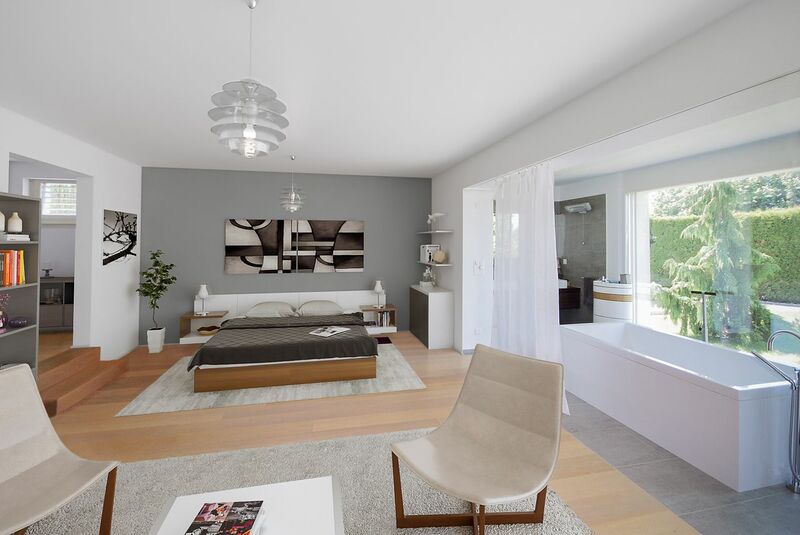 This magnificent contemporary property, situated in a residential area, offers ample space and good natural light. 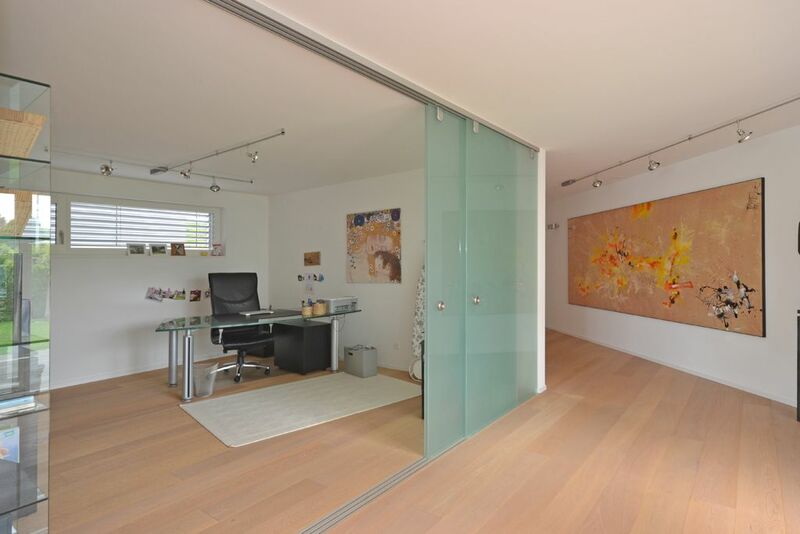 It provides 8.5 rooms and around 400 m2 of living space on two levels, plus a basement. The well-tended and wooded garden contains a beautiful swimming pool, a jacuzzi and a covered terrace with barbecue. 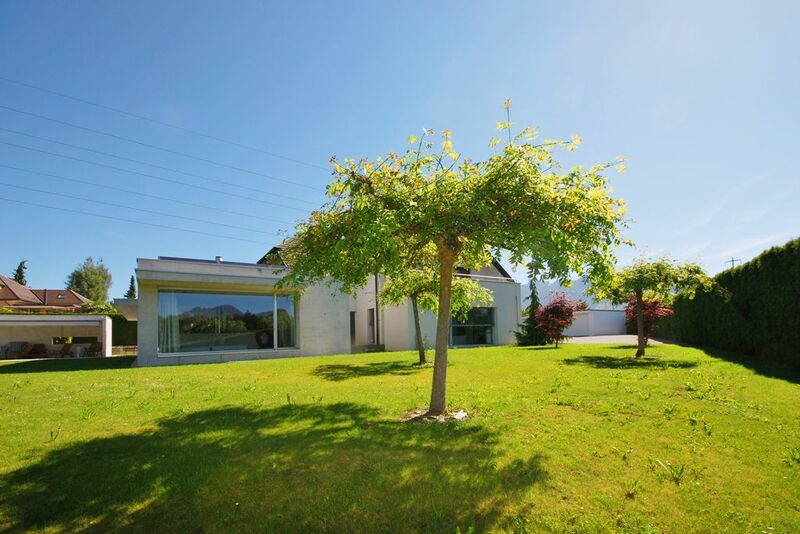 The house is only a few minutes by car from the centre of Bulle and all its amenities. There is a bus stop only 130 metres from the house linking Morlon to the station at Bulle in 10 minutes. Motorway access for Vevey, Geneva, Berne or the Valais is less than 10 minutes away. The property was constructed in 1990 on two plots with an area of 2'227 m2, and renovated in 2009 and 2010 using quality materials. It is in perfect condition. 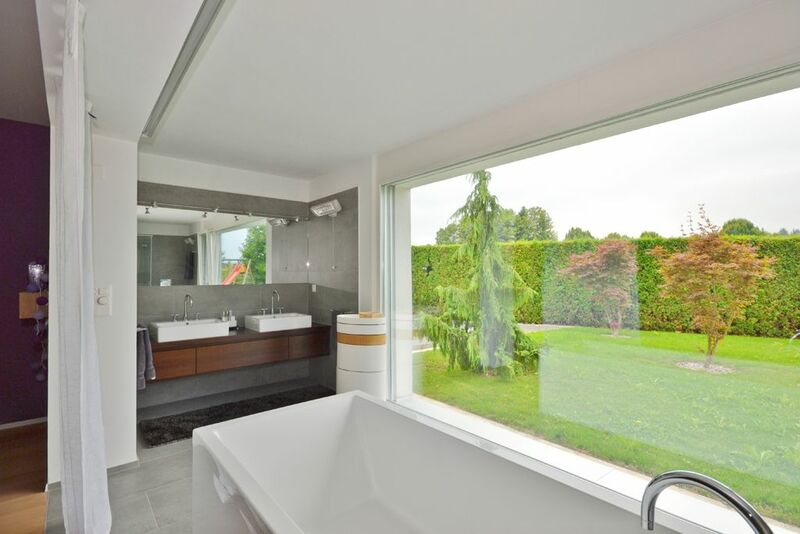 This exceptional property includes a wellness area with sauna, two lock-up garages and several exterior parking places. This 8.5-room house was built in 1990 and completely renovated in 2009 and 2010. The architecture is contemporary and the house is in a perfect state of repair. 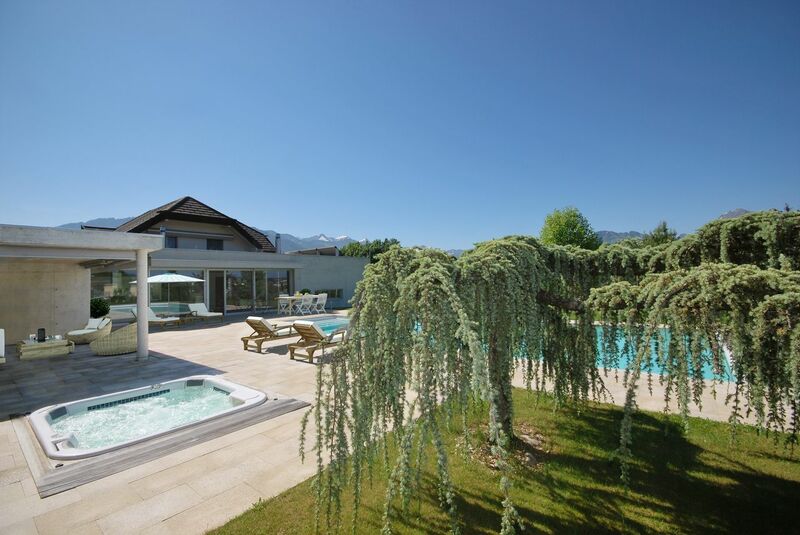 It provides an exceptional quality of life in a charming Fribourgeois village situated between Bulle and the Lake of Gruyère. The house is equipped with quality fittings such as electric blinds, a living room fireplace with a heat recovery system and a soapstone woodburning stove. 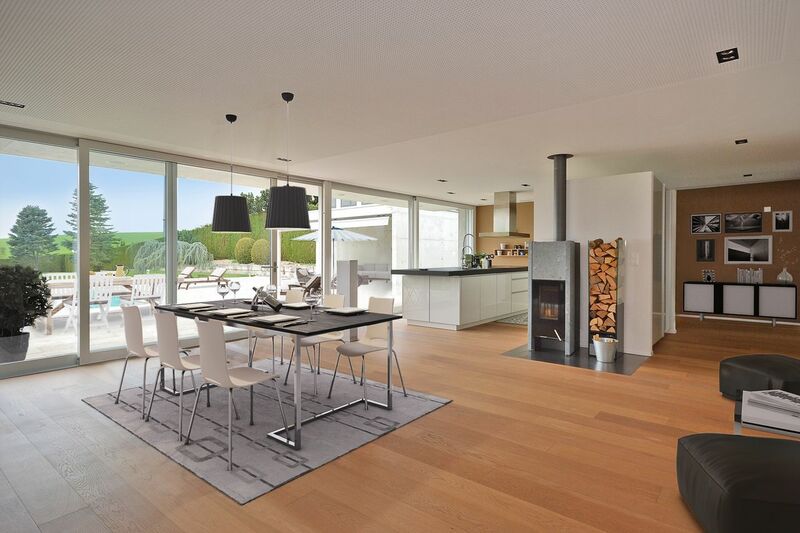 The underfloor heating is fed by an oil-fired condensation boiler and by solar panels, resulting in significant energy savings.